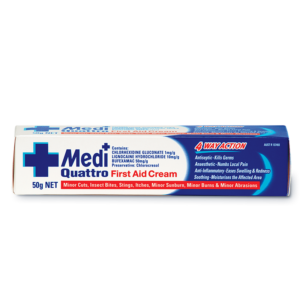 Antiseptic cream for first aid treatment of cuts, abrasions, mild sunburn, and mild burns, in a 50g tube. 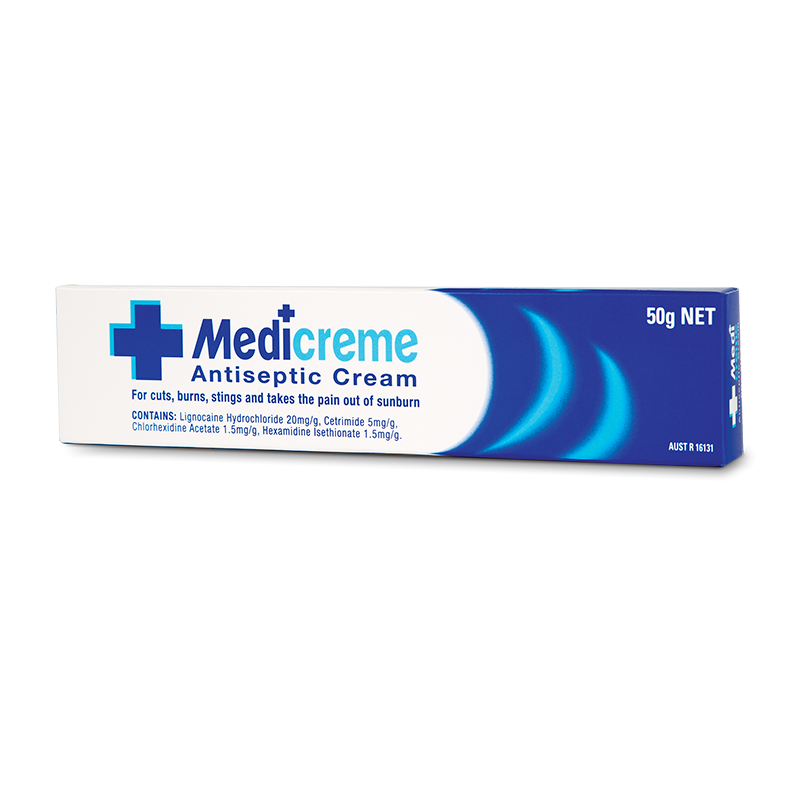 What is Medi Creme Antiseptic Cream for? 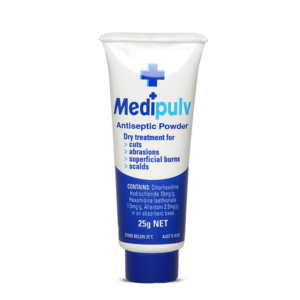 First aid treatment for cuts, abrasions, mild sunburn, and mild burns. 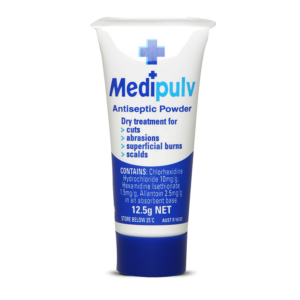 Provides relief from itching due to non-venomous bites and stings (mosquitoes, bees, sand-flies, jellyfish (blue bottles), and relieves the pain of mild sunburn. 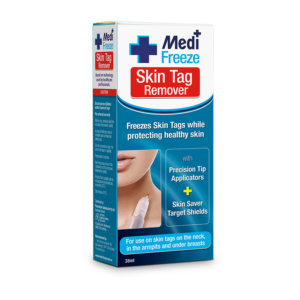 Clean affected area before applying a thin layer of Medi Creme. If treating a bee sting, remove stinger before applying Medi Creme. The first aid for burns is to run cold water over the burn for 20 minutes. This is effective for up to three hours after the injury. After the burn is cooled, make sure it is a minor burn. If it is deeper, larger, or on the hand, foot, face, groin, buttocks, hip, knee, ankle, shoulder, elbow, or wrist, seek medical attention immediately.